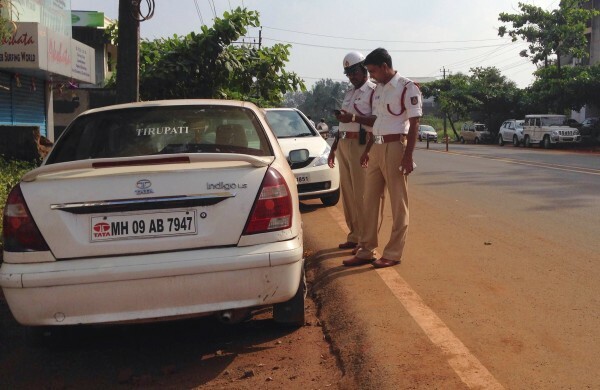 The traffic police is on a drive to seize vehicles abandoned on the sides of the streets which have not been attended to for many days. As per Section 127 in The Motor Vehicles Act, 1988 any motor vehicle is abandoned or left unattended on a public place for ten hours or more or is parked in a place where parking is legally prohibited. If a vehicle is seized the owner will have to show all the valid documents and pay a penalty and get the vehicle released. Many a times such vehicles can also be utilised for illegal activities. (2)Where an abandoned, unattended, wrecked, burnt or partially dismantled vehicle is creating a traffic hazard, because of its position in relation to the 2[public place], or its physical appearance is causing the impediment to the traffic, its immediate removal from the 2[public place] by a towing service may be authorised by a police officer having jurisdiction. (3)Where a vehicle is authorised to be removed under sub-section (1) or sub-section (2) by a police officer, the owner of the vehicle shall be responsible for all towing costs, besides any other penalty.